This article appeared in ATTN on July 6, 2017. ATTN: is partnering with REI to start conversations around why we should spend more time in nature. Right now 27 of America’s national monuments are under threat of being reduced in size or stripped of their monument designation altogether. In fact, Secretary of the Interior Ryan Zinke has already recommended that the president reduce the size of Bears Ears National Monument in Utah. If this reduction occurs, the very law which has allowed for the creation of over 150 of America’s parks will be called into question. This threat arose on April 26th when the president signed an executive order instructing Zinke to review the protected status of all 27 national monuments created during the last 21 years that are over 100,000 acres in size. A removal of protection would allo­­­w for oil drilling, gas exploration, and other commercial development that could fundamentally destroy these pristine jewels of the American outdoors. The public response to the executive order has been substantial. As of June 27, 2017, hundreds of thousands of people have submitted comments, the overwhelming percentage of them in support of maintaining current monument protections. More than a century ago, President Theodore Roosevelt enacted one of the most transformative laws in American history: the Antiquities Act. The Act established the ability of presidents to designate areas of historical, natural or cultural significance as protected “National Monuments.” The law was used to create the Grand Canyon National Monument, which was later upgraded to a National Park, along with 17 other monuments under Roosevelt’s administration alone. 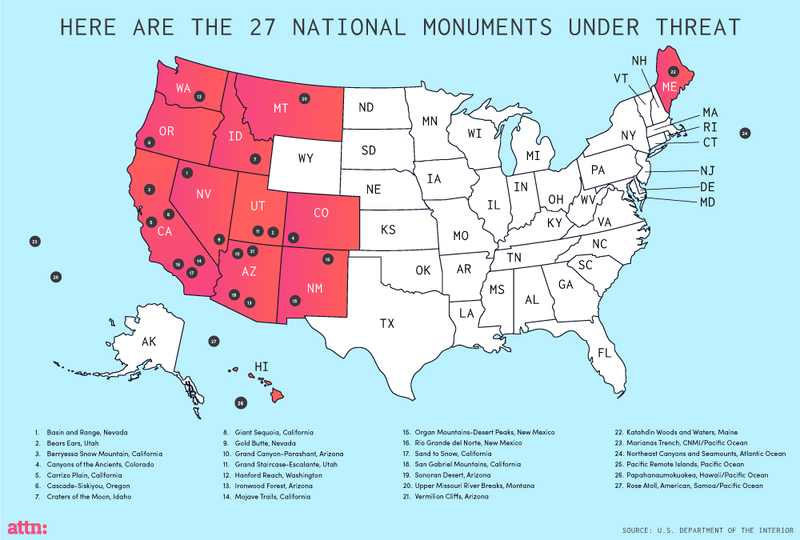 Since then, more than 130 monuments have been designated by presidents of both parties. If anything, the Antiquities Act is even more critical today than it was in Roosevelt’s time. Since 2001, commercial development has claimed an area of the American West approximately the size of the state of Connecticut. And every 2½ minutes, a football field worth of natural land is lost in the American West. The Antiquities Act, as Roosevelt saw it, would help preserve the wild lands that he considered one of America’s great assets. The 21-year range for Secretary Zinke’s review is bookended by two national monuments located in Southeastern Utah. Grand Staircase-Escalante was designated a national monument by President Bill Clinton in 1996. President Obama bestowed the designation on Bears Ears, which is sacred land to Native American tribes in the region, last December. Many public lands advocates believe the 27 park review is an elaborate pretext aimed at stripping these two monuments in particular. Nicole Croft, Executive Director of Grand Staircase-Escalante Partners, traveled to Washington, DC after the executive order was signed to urge Congress to pressure the current administration to keep the designations in place. “It was the opinion of several congressional officesthat this review will begin and end in Utah,” she said. In other words, the administration’s broad consideration of all 27 monuments was, in reality, a smokescreen to go after Grand Staircase-Escalante and Bears Ears alone. The main argument voiced by the monuments’ opponents is that federal protections stifle economic growth in Utah. “It’s a major impediment. Whether you’re a hunting guide, or in the extractive industries, or anything related to tourism, this puts everything in jeopardy,” said Phil Lyman, a Commissioner in San Juan County, where Bears Ears is located. Yet others question the claim of economic impediment. 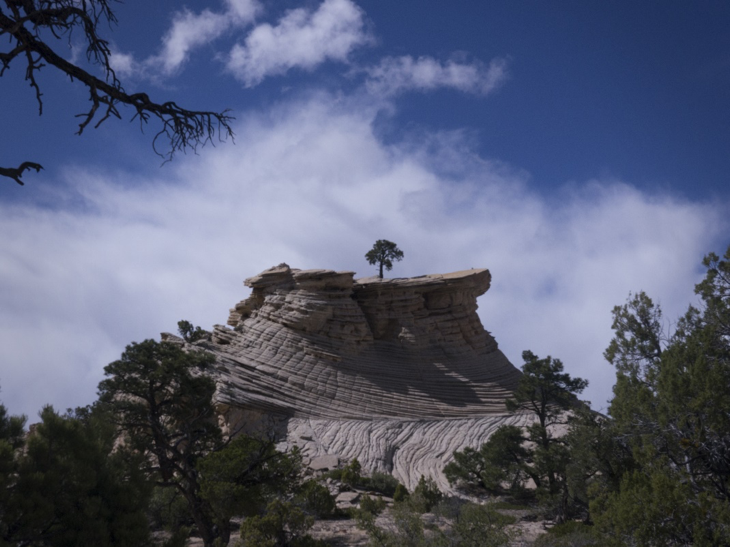 Though there is oil in the vicinity of Bears Ears, and a coalfield within Grand Staircase-Escalante, existing leases on deposits have gone undeveloped for decades. “The national monument can’t kill an economy that doesn’t exist,” said Gavin Noyes, Executive Director of Utah Diné Bikéyah, an organization that represents the five tribes in the area. Meanwhile, the stream of visitors to the monuments has sparked a small, but thriving tourism industry of hotels, restaurants and outdoor recreation outfitters. Overall, Americans spend $887 billion a year on outdoor recreation, and the industry accounts for 7.6 million American jobs. “It’s why people come here,” said Suzanne Catlett, President of the Escalante Chamber of Commerce. 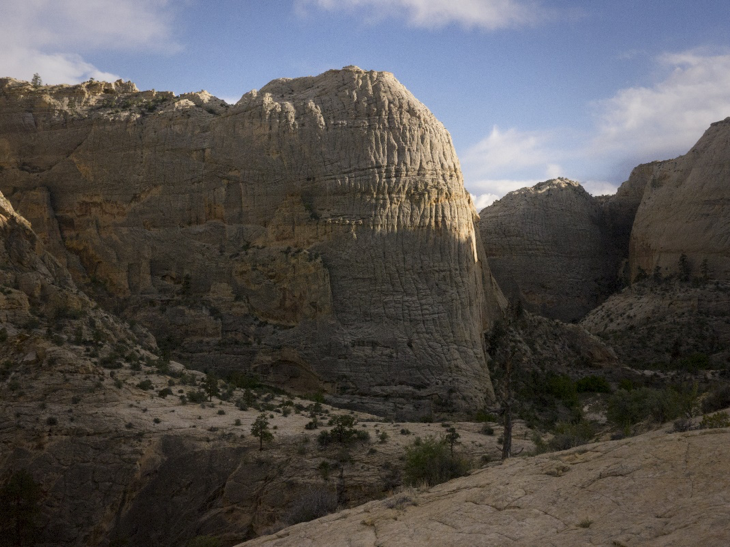 “As business people who make a living in Escalante and Boulder, we can tell you from firsthand experience that since the monument designation, our local tourism industry has grown and is thriving. The irony of Secretary Zinke recommending action that could forever change Roosevelt’s Antiquities Act? Zinke calls himself an “unapologetic admirer of Teddy Roosevelt.” As an homage to the 26th president, he even rode a horse to work on his first day as Secretary of the Interior. Secretary Zinke’s admiration for President Roosevelt may be firm, but the fate of many of America’s protected lands is uncertain. One can only wonder whether Mr. Zinke will consider Roosevelt’s legacy when advising on the future of our national monuments.